Not sure whether you’ve heard or not but Oxford Dictionary has named the emoji ???? 2015’s Word of the Year. hm. Well, that’s something, isn’t it. Word. of the Year. An emoji. A symbol. Not quite a word. Sorry, we’re still coming to terms with it (heh heh, “terms”). Needless to say, the snark and jokes flowed freely once this year’s “Word” of the Year was named. Probably my favorite tweet on the subject came from Funny or Die: “Oxford Dictionary’s word of the year is the ‘tears of joy’ emoji. Close runner-up was a picture of an unemployed English major crying.” Check out this article to read other hilarious tweets on the topic. The significance doesn’t fall on deaf ears, or I should say, blind eyes. More and more we communicate with symbols. It’s ingrained in our social media and messaging apps. Twitter recently changed it’s “Like” star to a heart and everyone’s up in arms about it. Symbols mean something — they communicate when we can’t. Heck, Snapchat has a whole slew of symbols, trophies, emoji; it’s just part of who we are now (probably part of who we’ve always been, but we’ll leave that to the social anthropologists). 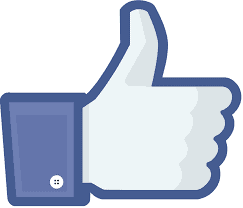 Facebook, similarly, has always had more than a few symbols. So, let’s unpack those symbols, meanings and all. Unlike Snapchat, Facebook doesn’t use emoji for a lot of its internal functions. But it does use imagery to assist users in navigating the basic functions of the site. Or at least, it would be an assistance if it weren’t for Facebook’s incredibly ephemeral design strategies. This “Lock” symbol is probably the one you need to be most familiar with, as this is where you arrange your security and privacy settings. If you think your account may be being accessed from an unauthorized device or by an unknown user, this is where you can run a diagnostic on your privacy settings and lock out any other open sessions of Facebook on other devices. The globe symbol is where to go to check up any recent notifications you’ve received. If someone you follow posts, or if somebody responds to a post or a comment of yours, then it will show up here. This is for the messaging system within Facebook. More seasoned Facebook users will remember when instant messaging and the internal “e-mail” system were separate sections of the site, but they have long since been rolled into one. This little person man (person man? Person Man hates Triangle Man) is the go to button for keeping up with friend requests. Yeah. Remember friend requests? Go check that because you probably have a few sitting there from the last couple of years. The downward arrow (above) is what you click when you want to bring up the larger settings menu. This is the sort of thing that’s usually represented with a gear icon, so if you’ve been looking for a gear icon in order to futz with your settings, this is what you should be looking for instead. And finally, this button will take you back to your home page. The number next to it represents the number of new posts and updates on your home page. First of all, on the top right corner of the UI, next to your name and profile picture (which you can tap to go back to your home screen) is a person/list icon which will let you quickly see a list of your Facebook friends, especially the ones who are currently online. In a previous generation of the app, tapping on their names would take you to a messaging screen, but a year or two ago, Facebook irreparably split these two functions into separate apps (more on that later). This bar, at the top of the screen (just under the search bar) is where you’ll manage new posts. It’s pretty self-explanatory: click the location icon in order to check in to a physical space (I have never seen the appeal of this). Click the camera in order to post a photo. And if all you want is text, get Twitter click the status button. First of all, the News Feed — whenever you click on a specific status in order to read the comments or what have you, if you navigate away to something else (requests or notifications for that matter), then tapping the “news feed” button will take you back to the status you were reading (assuming you didn’t go back to your home screen). Also, the messenger button. At first, I was really sore that Messenger was spun off into its own app. It’s bad enough that Apple foists a bunch of useless, undeletable apps on me, but now I have to have two separate apps just to use Facebook? But lately, as I’ve been trying to use Facebook less and less, I’ve come to appreciate the separate Messenger app: I can turn off notifications for Facebook, so I’m not being bombarded with dings and badge icons every time a relative posts a political rant, but I can leave the Messenger notifications on, so I can still communicate with individuals through Facebook, even if I’m not interested in diving into the maelstrom of clickbait. On the left there, is the icon you’ll tap to call a friend. If that icon is gray, you cannot call that person. The video icon is for video calls. Once again, if this icon is gray, you can’t video call them. In both cases, you must first open a conversation with the person. Be wary of data usage with these options. This is the column on the left where you’ll find your past and current chats, group chats, friends, and settings. Under that column on the left, you’ll see this bar. Tap each of these icons to find whomever or whatever you need. This is the bar you’ll find under your messages. From left to right we have the keyboard, access to your camera to take a pic, access to your photos, stickers, GIFs, the microphone access, location, access to more fun stuff from the internet including more GIFs and pics, and finally, because it’s Facebook, a thumbs up for a “Like” (and you can hold it down for an even bigger like). A note on the whole “Like” thing: you may or may not be aware that Facebook has heard the cries of the masses, “we don’t ‘like’ every thing!” Some have tossed out the idea of a “dislike” button, but to no avail. However, in beta currently in Ireland and Spain, is a heart icon so you can “love” something as well as a new range of emoticons to add to the basic “like:” “yay”, “haha”, “sad”, “wow”, or “angry.” We shall see what the test audience thinks and how it plays out in other markets. That blue circle up there means you’re message is sending; the blue encircled check mark means the message was successfully sent; the white check mark in a blue circle means the message was successfully delivered; and if you see the minuscule version of your friend, they’ve read the message…react accordingly. Because 2015 has been the year emoji and emoticons have EXPLODED, they are more accessible than ever on all platforms. For example, when you type the basic smiley, a colon and closing parenthesis, it almost always be rendered automatically as :). Likewise with a heart: the less than sign and the numeral three will yield <3. And Facebook is no exception. For more on how to make a heart, all the hearts and love emoji, and all the different meanings, check out our How to Make a Heart on Facebook. You may have seen music notes. Those always look cool. ???? There’s a whole slew of music-related emoji. Check out this website to copy & paste great music emoji, if you can’t find them in your phone, tablet, etc. The thing about emoji is they’re everywhere now, more accessible than ever. So have fun with your Facebook status by adding a few emoji. Heck, just have a status of emoji — someone is bound to know exactly what you mean. That’s all for now. We hope this cleared up any confusion of Facebook symbols or icons. Feel free to comment and if you found this article entertaining/helpful/awesome, please share it, say…on you’re Facebook!